In Stand Under Bayocean Hotel Annex's Chimney I used datasheets for two survey control stations on Bayocean that no longer exist in order to pinpoint where the Bayocean Hotel and the Bayside Inn had been located on today’s landscape. Three other stations have also disappeared. 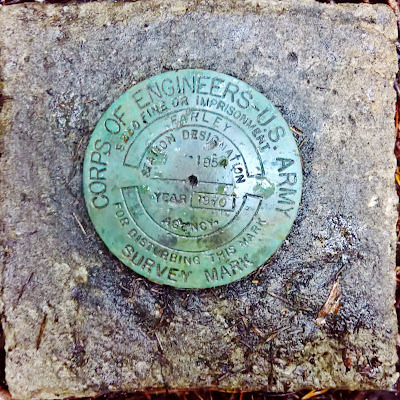 Only one station, maintained by the U.S. Army Corps of Engineers, remains. The Farley Reset datasheet says it was first established in 1935. Like Bayocean's initial point, the original monument has been replaced with a bronze disc. But it still has historical significance, so I wanted to find it. On October 30, 2016 my bushwhacking buddy Eleanor Culhane joined me in the search. Following datasheet directions we hiked 2.5 miles north from the gate at the Bayocean parking lot, and then west on a game trail to the top of a high dune just a few hundred feet away. In 1975 the dune was still described as being covered with short vegetation. Now the trees and brush are so thick that I’d hiked past it many times without knowing it was there. When Eleanor found Reference Mark No. 3 (another bronze disc) near the end of the trail at the top, we knew we were close. We had to do a little bushwhacking, but nothing like that required to reach Bayocean’s highest point. An orange, plastic witness post stood out from the greenery, but that was different than described in the last datasheet update, and the station disc was not two feet east of it, so that threw us off for a bit. But after clearing a circle all the way around the the post we found the disc two feet north of it. Why was it there? David Moore, a surveyor from Albany, Oregon, said stations like this were set up all along the coast, and for miles inland, after average sea levels were determined in 1927. They were used by land surveyors to calibrate their equipment for elevation, after checking for updates. 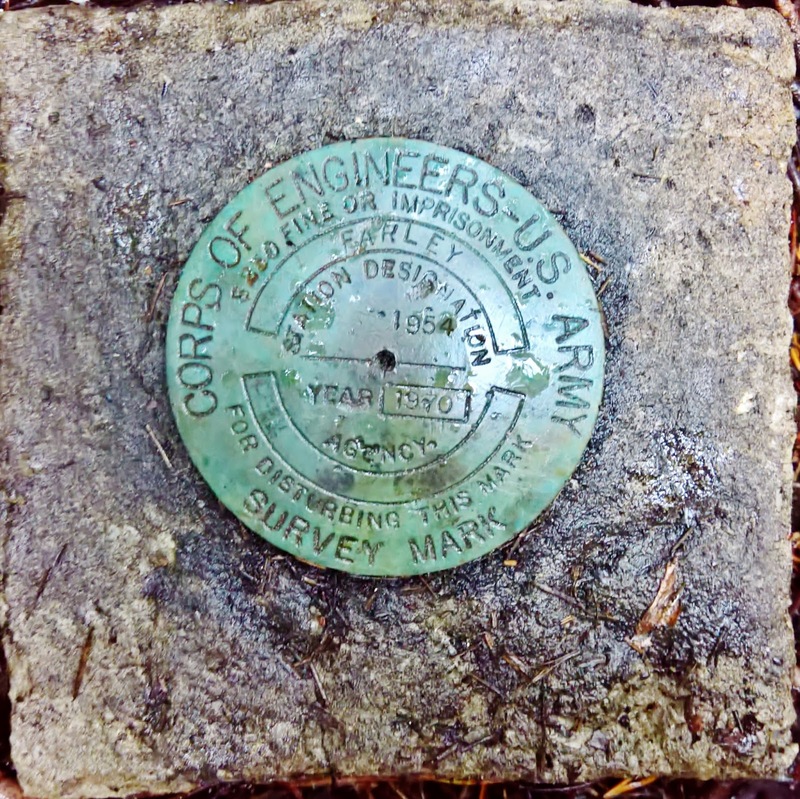 Though latitude and longitude were added to the datasheets, surveyors used other monuments to calibrate for that. This dune was an obvious choice for a station because it was high and stable. A hydro signal originally placed next to it must have have been visible from Tillamook Bay before trees obstructed its view. "Farley house in Barview before the Jetty" Tillamook County Pioneer Museum, 82.254.R. Why the name Farley? It must have been to honor Captain Robert Farley, who was in charge of the first Coast Guard Lifesaving Station at Tillamook Bay from its beginning in 1908 until his retirement in 1935, when the station was named. Ironically, Captain Farley’s own home at Barview was a casualty of coastal erosion prior to the first jetty being constructed. Thanks for sharing this information and the bushwhacking required to find what you were looking for. Very interesting.